Salt generator systems are becoming more and more popular due to easier maintenance and the fact the salt now replaces chlorine for out of pocket expenses. Still, there are some things to be aware of if you have a salt generator on your pool. As for savings, it is true that salt is cheaper than chlorine. There are still costs that will be incurred in obtaining the salt system, salt cell and installation. It is likely the system will pay for itself in 2-3 years. Then after that, your costs of adding salt versus chlorine would show a bigger return on your investment. higher than the optimal ideal range of 30-50 ppm. With a salt pool, they water does tend to feel more “soft”. Salt contents in a salt water pool are generally around 3000 ppm (which is less than a human tear and ~ 1/10th of seawater) so the water will not hurt a swimmer‟s eye. If salt levels get too high, they can increase the TDS level in your pool which can affect water clarity. So, this is something to be aware of when you have a salt water pool. recirculation components. They do make sacrificial anodes that can be used if corrosion is a worry or begins to take place. Additionally, the salt cell will not last forever and will need to be replaced about every 3-5 years. You should not think it is going to maintain itself as that is not the case with any pool or spa. Still, salt water pools are becoming a very popular and effective alternate sanitizer to chlorine. 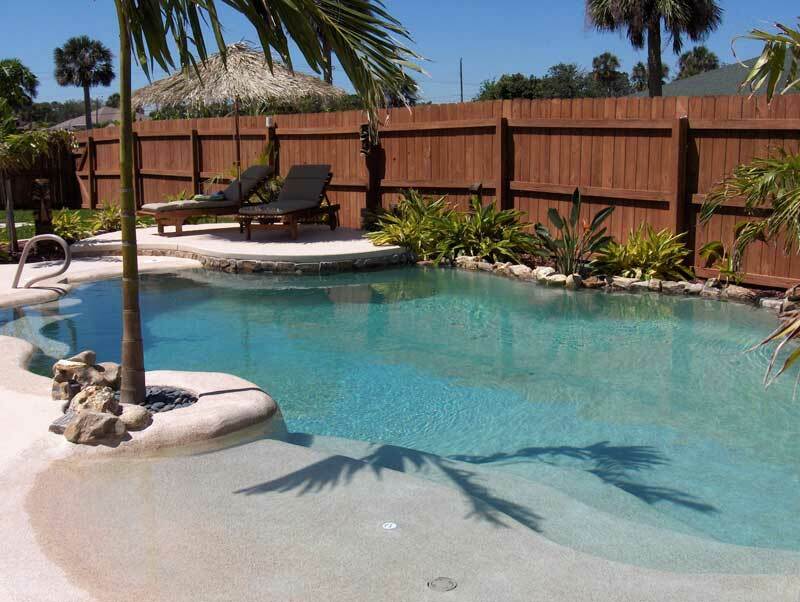 pool components, improper resurfacing and many other means. With salt water pools, stains can present more of a problem from sources such as metals existing in the salt itself. Stains can come in many forms, such as streaks and bleaching, and ranging from blue-green to brown stains. The pool salt that is used in the pool is not the same form as the salt you use at your dinner table or 100 percent sodium chloride. The salt used in pools contains impurities that exist in the underground salt mines which could include metals such as manganese, iron and copper which can contribute to staining. Also, if undissolved salt is added directly to the pool and sits on the surface, staining can also occur. be added during this time period. When you do add salt to a newly plastered pool, it is recommended to add it into the deep end while the pump is running and make sure all salt is completely dissolved through brushing. 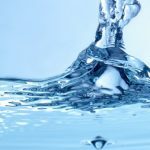 Of course, maintaining proper water chemistry and having your water tested on occasion for metals is always recommended for any pool which will help to prevent the onset of stains. 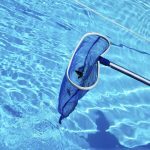 When there are metals in the pool, a sequestering or chelating agent can help rid them from the pool. If the stain has onset, stain removers can prove to be helpful. With that, make sure the stain remover is not phosphorous based, as phosphates contribute to algae growth which presents a whole other set of problems. The thing to remember with stains is preventing them is much easier than treating them, so do your best to maintain your water chemistry in its ideal range and eliminate staining sources from the pool as best you can.